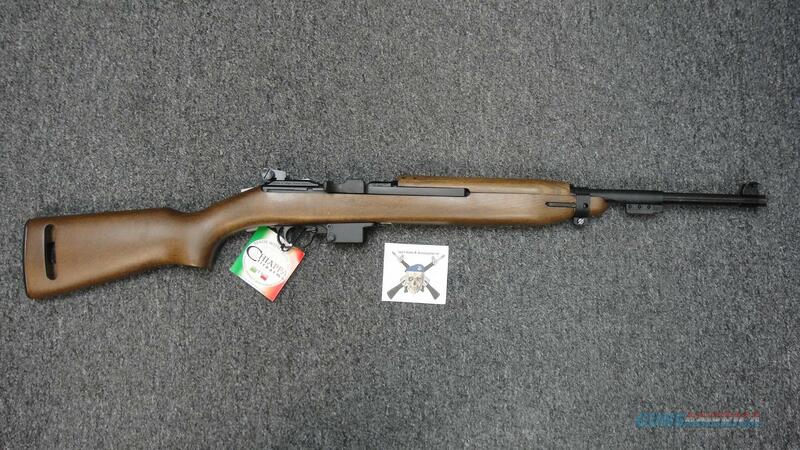 Description: This Brand New Chiappa M1-9 Carbine shoots the 9mm round. It holds 10 +1 rounds and uses Beretta 92FS mags. It is made to look like a World War II M1 Carbine, the stock is Walnut and ifeatures a 19" black barrel. It comes with 2 10 round mags, Box and Manual.